Migrokill is the natural migraine treatment that works in the systematic natural manner to enhance the capacity of functioning of brain and removes the impact of issue. Migraine is an exceptionally difficult and life threatening issue that has increased its range in the recent years. With an increase in mental conflictions, tensions, work stress and changes in the way of life, people live in more psychological pressure than they ever were. These different diversions that cause strain and misery, brings migraine. Migraine generally begins with extreme pain in one side of head and gradually increases to most part of the brain. The pain may last for quite a long time. It hampers the person`s capacity to think, talk and to do all the day by day undertakings. 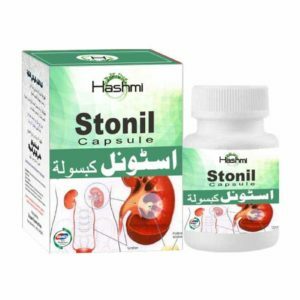 Initially, people take it as typical cerebral pain and take the painkiller. Due to the lack of knowledge and self-consciousness, they invite the issue. This exacerbates the circumstances as headache continues expanding in cerebrum. Migraine is not easily curable and thus we have made this powerful, effective yet completely safe natural treatment of migraine. 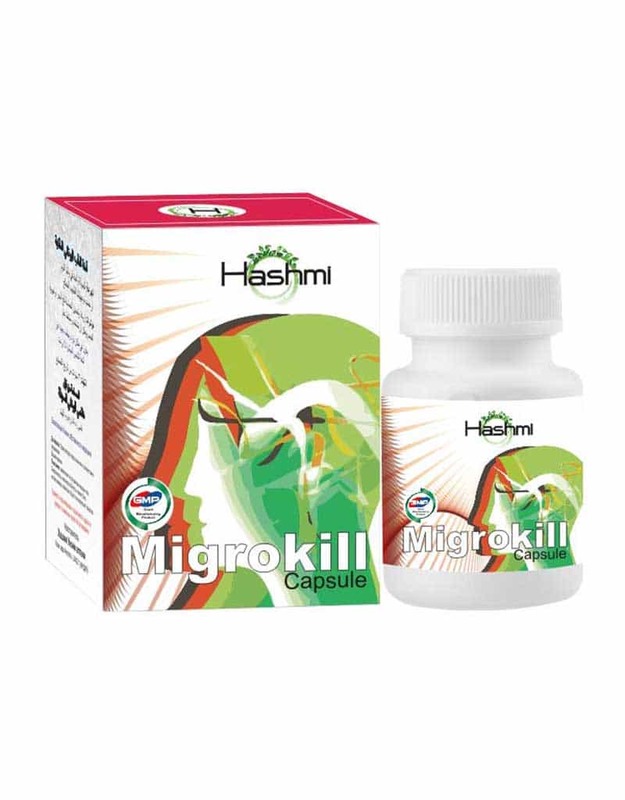 Migrokill capsule is especially is made for Migraine. The medicine is the complete treatment in itself which is formulated without any use of chemicals. 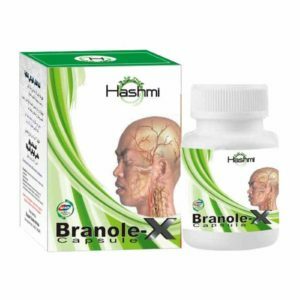 It works in the cerebrum cells to expel the blockage and mitigates sensory system to enhance the mind functionality. The medicine is an effective and predominant plan that has the enduring effect on cerebrum. Other than removing the side effects, the medication fortifies the brain cells to ensure future wellness. 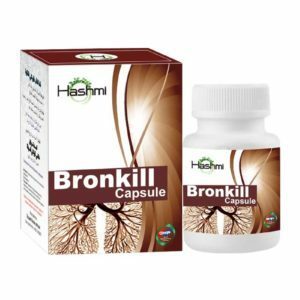 What is Migrokill Capsule ? 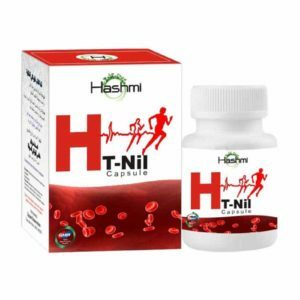 Hashmi Migrokill capsule is a definitive natural treatment for headache. The medicine is made utilizing those valuable herbs which are extremely successful in calming the sensory system. These herbs work on the cerebral pain and related issues. The medicine treats the every one of the symptoms of the issue. 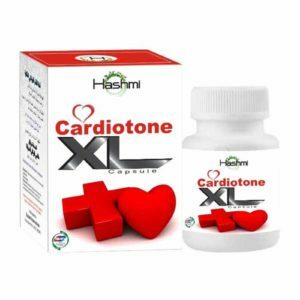 It reduces the pain gradually and permanently cures it over a period of time. It relaxes the nervous system that triggers the rest to irritated nerves. 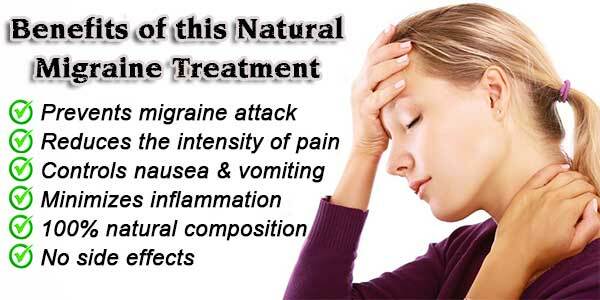 Being a natural migraine treatment, the medicine does not bring any bad impact on the body. If the healthy and tension free life is leaded, the medicine helps to keep the migraine away forever. Mind receives everything so a good environment is very important to keep yourself out of the dangers of the issue in future. Migrokill is completely researched and tested medicine which is certified with ISO and GMP certifications. Abortive technique is one which attempts to control headache as soon it begins. The prescription for this strategy prevents the sudden surge in pain and sensation. Preventive technique attempts to lessen the seriousness of pain and limit of the reoccurrence of headache step by step. Migrokill is the solution that works in both ways. 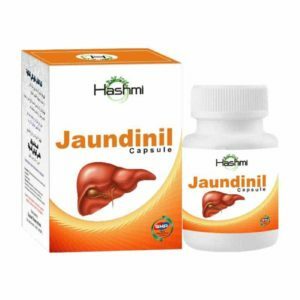 This natural treatment has the blend of those herbs which work for sudden effect and also expel the primary driver with time. 1. Classic Migraine (begins with an atmosphere)-In this case, the sufferer begins feeling anxiety, aggravation, gloom and finds himself/herself unable to convey thoughts properly. Theseconditions by and large stay for 10-15 minutes. After that the patient starts experiencing extreme pain in one side of the head that keepson going for quite a long time. 2. Common Headaches (don’t begin with an atmosphere)-It is more common in individuals. In this type of migraine, the headache begins gradually in one side of mind and continues expanding. This headache can go on for a longer time. During this period, the patient feels high sensitivity to light and sound. The exact reasons of migraine are yet to be known but in different investigations, it is found that during migraine, the veins in the brain comes in constriction and different variations emerge that prompt the arrival of certain provocative chemicals. A specific region in the cerebrum becomes extremely sensitive which triggers the hyperactive nerve cells that result in the contraction of veins. This situation causes the flow of blood difficult and makes the patient sensitive to light and sound. Migraine is the issue that starts due to extreme pressure, tension and depression. So, as long these situations persist around you, no benefit will come whatever medicine you take. The issue is the issue identified with mind. The feelings, strain, opinions, overthinking, nervousness, fear, and so forth every one of these components discharge certain chemicals and put some effect on the mind. If the individual over and over again lives in one kind of circumstances then it build the chances for headache as persistent focus on one aspect changes the concoction and physical properties in mind. Though, the solution is also quite simple. Stay out of depressing and negative circumstances and live your life as it is. What are the reactions of this medicine? The medicine is free from any kind of side effects due to its pure natural, tested and researched formulation. What is the longest span of the course ? Being a natural medicine, it attempts to remove the issue completely. In doing so, the course for the most possibility ranges for 3-4 months, but it can increase/ decrease as per the individual cases. Is this as powerful as the migraine treatment in Ayurveda or can I opt for any other medicine with it ? 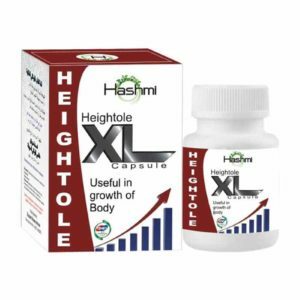 By and large, we don’t prescribe any other medicine with it as it is the complete treatment in itself. So far the comparison is concerned, every medicine has its own benefits or losses. If you want to know more about the benefits of migrokill, then you can anytime contact our specialists.